Citôtel La Rotonde is located in a quiet area just a few minutes from Orly airport and 15 minutes from Paris. It offers a free airport shuttle and free Wi-Fi. Rooms are functional and fully equipped with telephone, TV and private bathroom. Free parking with a reservation is offered during the first week of stay. 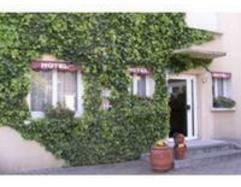 Hotel La Rotonde has a number of restaurants nearby as well as a swimming pool and golf course. It is just 25 minutes from Versailles and Marne la Vallée and is surrounded by public transport options. A free hotel shuttle service will take you to and from Orly airport. Outdoors activities: swimming pool and golf court close by. Please note that the car park is free of charge during the 1st week. Please contact the hotel if you are to keep your car parked longer. Please note that the hotel was renovated in October 2007. This room features free Wi-Fi access, a bathroom and a TV.